Ya put ’em on your cell phone plan, and then they keep calling you…. I was talking on the phone yesterday afternoon when I heard a beep indicating another incoming call. The person I was talking to is in the process of adopting a child with Down syndrome and had a lot of questions, so I figured I would get back to whoever had called when we were done. But I kept getting “beeps”. Turns out, there had just been a shooting in College Station, and Mom couldn’t get hold of Michelle on her cell phone (which isn’t a bit unusual). So, I went online, and sure enough there was the story already up on the main page. It wasn’t near where Michelle lives, so I wasn’t TOO worried, but you always hear stories of people being in the wrong place at the wrong time…. 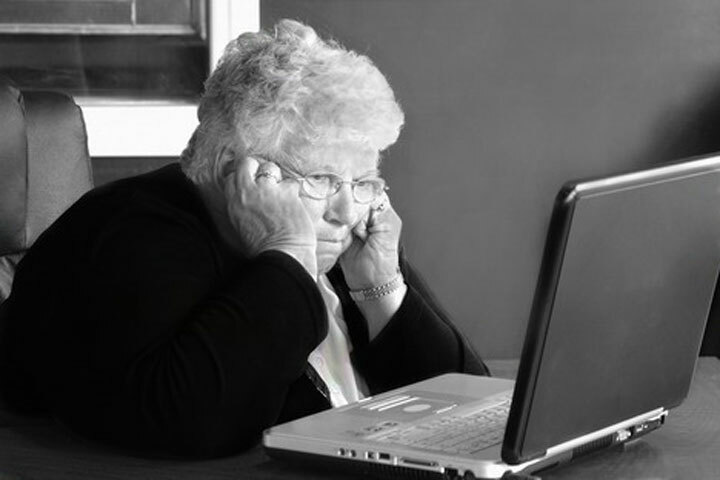 They have access to the Internet (and all day to surf the Web), so they find out stuff before you do….. I called Michelle, but she didn’t pick up her phone. So I did the next best thing, and called Rheah – who picked up, and assured me that everyone was OK, nowhere near where all of that had happened, etc. Mom wanted me to call her back and let her know that everything was OK, so I did. 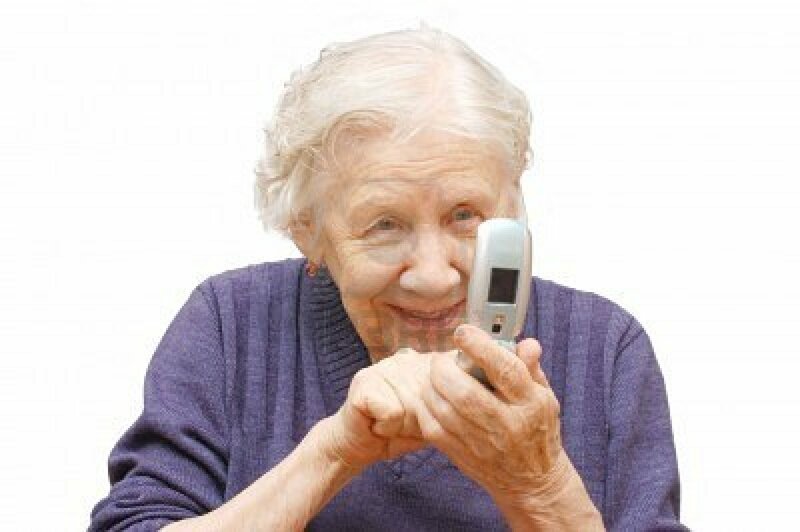 Then I gave her Rheah’s phone number. Which is probably why I got a phone call this afternoon from Michelle, letting me know that she isn’t dead. The “Grandma Gambit” – works every single time….. 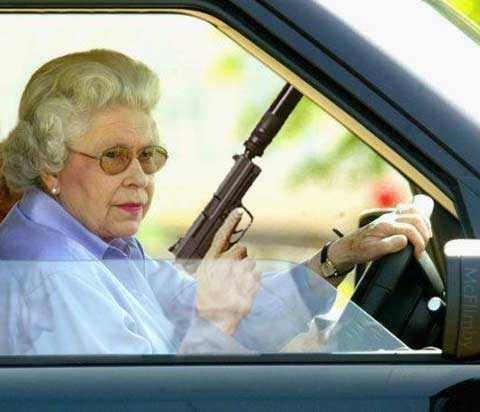 This entry was posted in Family, Humor, Messin' with my kids and tagged College Station, Don't Mess With Grandma, Queen Elizabeth with a Gun, Shooting. Bookmark the permalink. I know about about Mom feelings when there is news of any area near where one of your youngsters (of any generation)is domiciled. I sort of watch Channel 13 in Houston for several hours during the afternoons and see news of wrecks, fires, car chases, more ways to murder people, all after Millionaire. Scary world out there and you can relax a bit once you determine that it is not one of yours and then think about how bad it is for the famiilies who are affefted by each incident. Yep. I worry, too, but I hadn’t heard about this incident when Mom called, so I didn’t have time to worry; by the time I heard about it, more particulars were out and I was pretty sure Michelle wasn’t in harm’s way.